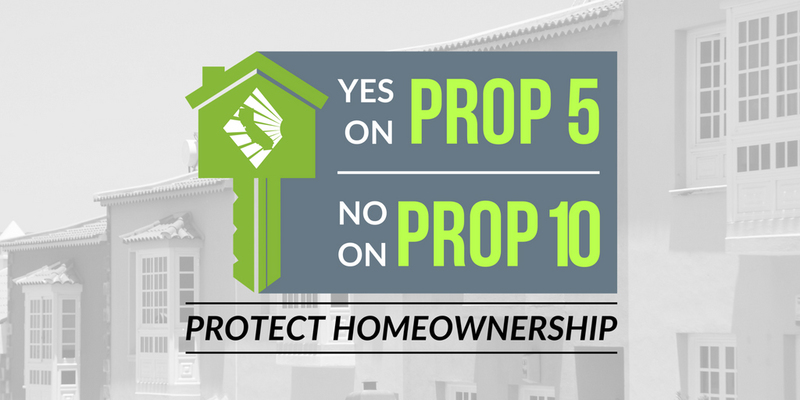 California Association of REALTORS® urge California voters to vote Yes on Prop 5 and NO on Prop 10. Prop 5 will allow seniors, the disabled and victims of natural disasters to move to a home better suited to their needs without facing drastically higher property taxes. Prop 10, by allowing for the dramatic expansion in rent control, will actually decrease the availability of affordable housing because there will be no incentive for builders to create more housing.